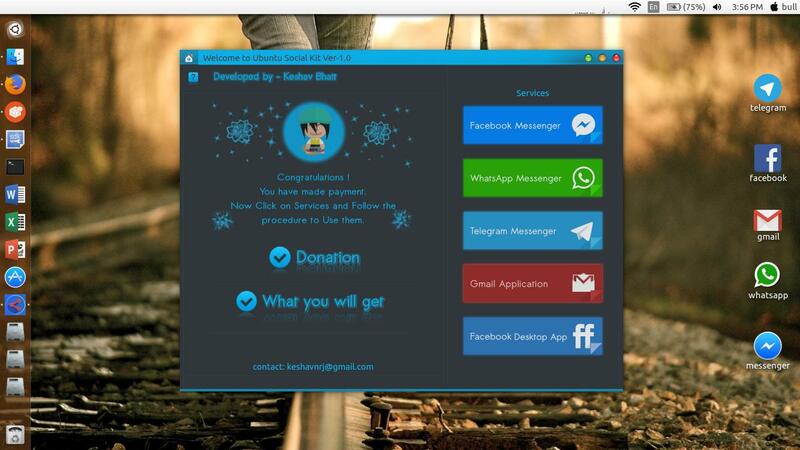 currently there are seven application namely Whatsapp, Facebook Desktop App, Messenger, Telegram, Vk, Twitter and Gmail . Each app support dark theming and pulls desktop notification and system tray feature. Client support update applications in future and update their core, so that users can get new features in future. double file click to run it.